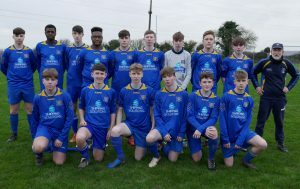 A third Cup has been organised at Under-17 Youth level but again, the luck of the draw assigned a first division team to Carrigtwohill. After the two encounters against Ringmahon in the other two Cups, it was Springfield Ramblers that came to play at Ballyadam Park. The Cup match against Ringmahon back in November had been very close and this one was close too, but Carrigtwohill conceded at the wrong time – just before half time to go 2 nil down – leaving themselves a mountain to climb in the second half. For long periods of the game however, the two teams were very evenly matched and Carrigtwohill had a chance or two to push the match into extra time. The game started at 100 miles an hour, with chances at both ends. The differences in style were evident. Springfield were all short passing through the thirds whereas Carrigtwohill were playing the quick break and the ball over the top nearly worked for David Muller and Rian Notley. The visitors got in front after only 10 minutes after lovely passing play delivered a cross at the far post that was poorly defended and resulted in a goal for Springfield. The next 35 minutes were nip and tuck but it was Carrigtwohill who conceded again just on the stroke of half time when a corner kick was headed onto the cross bar and the rebound fell kindly to a Springfield player. This was a hard blow to go in two goals behind instead of only one at the interval. The second half was very even and for about 20 minutes Carrigtwohill pushed on, with Abdul Rahim Mohammed as the new target man. The hard work seemed to have paid off when Robert Adam curled a sweet strike towards the top corner but alas, it is the underside of the crossbar that the ball found instead of the net! Two more substitutions – Jason Daly and Jack Nolan – helped Carrigtwohill keep the visitors under pressure, although Sean de Burca, who delivered a class performance at centre back, rescued Carrigtwohill with a sliding save off the line with Darren Flynn beaten from close range. There was still time for drama when Carrigtwohill reduced the deficit to one goal with 10 minutes to go. Then, with very little left on the clock, Jack Nolan ran up the left and crossed for Abdul Rahim but he could not get a good enough contact with the ball. 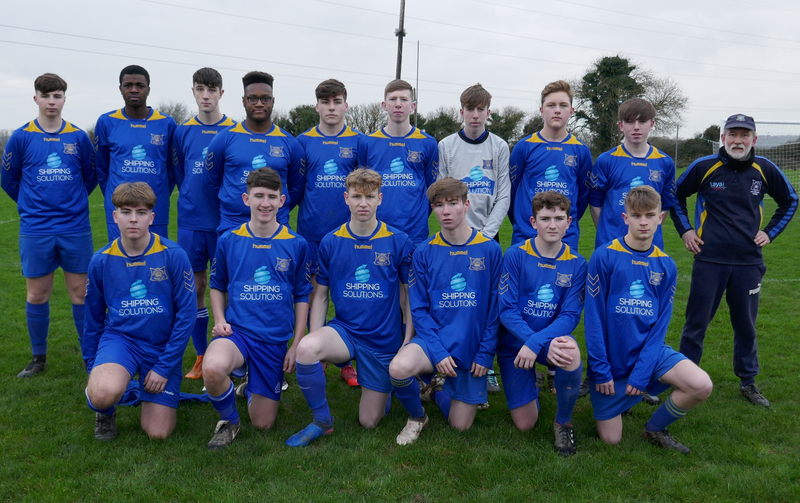 Two-one for the visitors it finished – and now it’s back to the League for Carrigtwohill U17’s with good prospects for a strong finish to the 18/19 season.